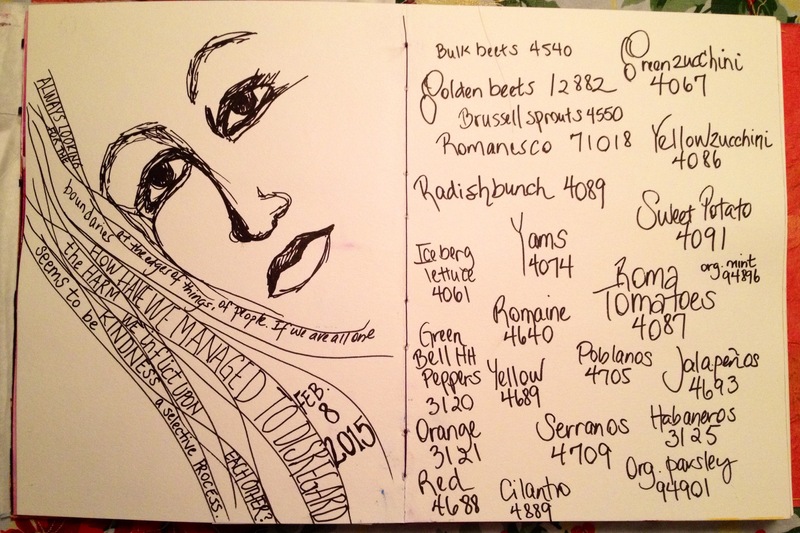 This entry was posted in I MADE THIS, LIVING OUT LOUD, SMALL ART and tagged grocery codes, pen, visual journal on 8 . February . 2015 by theartsyfartsychick.